Iran is located in one of the Earth’s dry belts. Subtropical high-pressure and inland deserts have created arid and semiarid conditions for about 75% of the country’s area. In addition to this natural dryness, recent global climate change has also affected precipitation in different parts of Iran in terms of both mean and extreme amounts. Precipitation extremes can have many negative effects on different parts of the Earth’s ecosystems. The possible pattern of precipitation trends during recent years merits further study given the potentially important impacts on agriculture and water resources in Iran. Globally, observations show significant changes in the characteristics of extreme precipitation. To study recent trends in mean and extreme precipitation events in Iran, we examined a number of mean and extreme precipitation indices for a 58-year period (1960–2017) for 33 synoptic stations throughout the country. Daily precipitation data were collected from the Iranian Meteorological Organization for this period for all stations. Nine precipitation-based indices (one mean and eight extreme) were employed to study precipitation trends. The results showed that most areas have undergone a significant increasing trend in extreme precipitation values, precipitation intensity, and precipitation frequency. Significant positive trends were seen in the southwestern regions of Iran and the coasts of the Persian Gulf for the same precipitation indices. The results of this study could be used by managers and experts for long-term planning. The authors thank Dr. Carley Iles from IPSL for English editing of this paper, and Proff. Ismail Gultepe and two anonymous reviewers for their useful comments. Yilmaz, A. G. (2015). The effects of climate change on historical and future extreme rainfall in Antalya, Turkey. 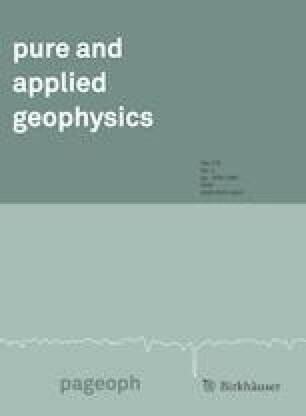 Hydrological Sciences Journal, 60(12), 2148–2162. https://doi.org/10.1080/02626667.2014.945455. http://climatology.ir/?p=14526.